to learn more about our expansion plans. Since 1979, Parallel Products has been a leader in the sustainability industry, the ethanol industry, and in green energy production. We bought this facility to use it for a processing and technology development center, campus for recycling, and production of green energy. Parallel Products is expanding its operation in New Bedford. These are exciting times, and we look forward to sharing our progress throughout our process with all of our neighbors. Currently, we are in the infancy stages working closely with state and local agencies in site and process reviews to ensure strictest compliance with all applicable environmental guidance and regulations. 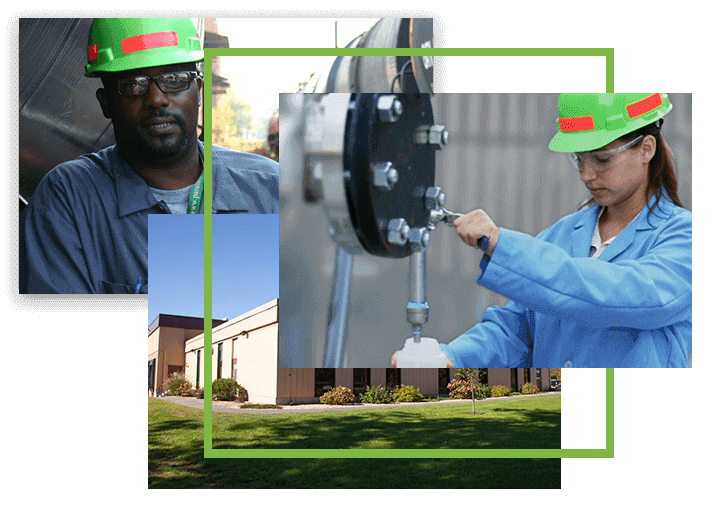 At the heart of our due diligence is a concentration on mitigating any potential environmental impacts associated with the facility. Mitigation measures focus on noise, air quality (e.g. odor), traffic, storm water, etc. Parallel Products remains true to its business culture and mission of providing sustainable solutions in the recovery/reuse industry. 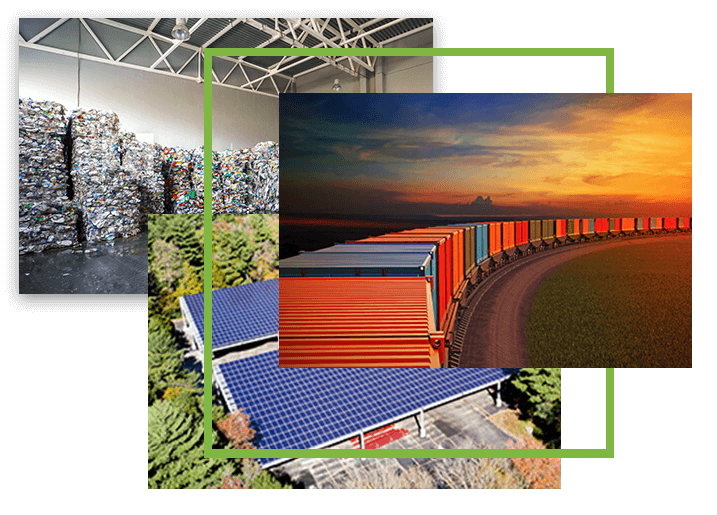 Our primary focus is to consolidate waste materials for efficient processing/recovery and cost-effective transportation to off-site reuse and disposal outlets. At this new facility, our processes, all of which will be conducted inside, will continue to be focused on the extraction of recyclable materials separated into useable commodities and shipped in and/or out of state for repurposing as post-consumer recycled products. These will include glass, paper fiber, metals, plastics, etc. Source separated food waste will not be accepted at the facility. Any residual or non-recyclable materials will be minimized, baled and shipped out of state to licensed landfills and/or incinerators. The proposed biosolids plant will accept and reduce the moisture of the material from up to ninety-seven percent (97%) moisture content down to approximately seven percent (7%). The dried residual may then be reused off-site for appropriate beneficial uses and/or may be landfilled based upon existing market conditions. Since 1979, Parallel Products has been a leader in the sustainability industry, the ethanol industry, and in green energy production. We are a one-stop sustainability solution, serving the Alcoholic and Non-Alchoholic Beverage, Heath, Beauty, and Pharmaceutical industries. Many of our clients are subject to zero-landfill policies, so we repurpose and recycle as much of their unsaleable materials as possible. The energy that is used during these processes are powered by both solar energy and green energy. Parallel Products looks for sustainable and responsible ways to deal with materials that businesses cannot sell because they have either expired or because of manufacturing issues. We take in these materials, providing the maximum recovery of materials, ethanol production, and brand protection for unsaleable materials. What does this mean? Our facilities are able to process the plastics and glass from the bottles/containers to then make new aluminum can sheet, bottles, baled cardboard and plastics which can be used to make new products. We also recover and reuse liquids by creating renewable biofuel. Annually, we produce 7 million gallons of fuel-grade ethanol that is then used as retail fuel in regional areas. Our goal is to maximize the use of all materials coming into our facility and aim to create zero waste. The Duchaine Boulevard expansion project will be a center for processing and technology development–a campus for recycling as well as the production of green energy. The facility houses technology for solar energy, green energy production, and recycling recovery. Some of the recycling and recovering processes that are done in this facility include de-baling, optic color-sorting, and grinding. The solar energy that is generated at the facility reduces energy costs and fossil fuel consumption for energy, ultimately resulting in decreasing our carbon footprint.